Get the app and you get an address, like an email address but for crypto coins -- then you can send and receive to the app. 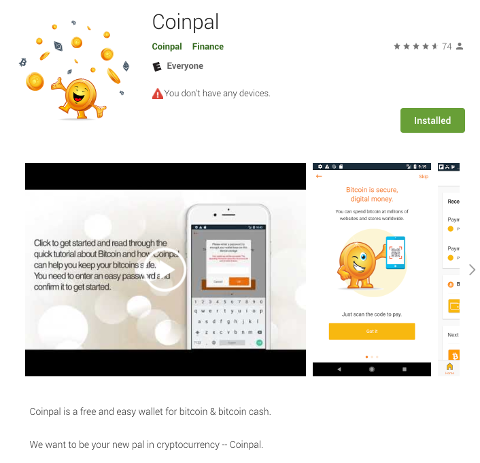 Coinpal is the easiest wallet app to use. Really! Plus we have great support to help you with every step. From the very first step, we let you make a backup - safe and always protected with the highest encryption. International currency, language support & bitcoin cash features and more with customization. Manage personal, business, and testnet wallets efficiently, all without leaving the app. Coinpal uses hierarchical-deterministic (HD) wallets, allowing for secure in-app wallet generation and backup. Device-based security: all private keys are stored locally, not in the cloud. You can set up more than just one wallet using our app. Coinpal lets you make a multi-signature transaction. Fast and low fee, Coinpal supports the Bitcoin and Bitcoin Cash networks. Support for 150+ currency pricing options & many languages. iOS & Android apps that are simple to use for bitcoin and bitcoin cash. Just download the app and follow the easy instructions. 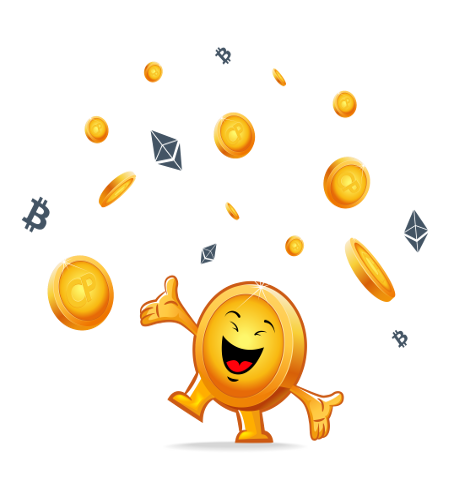 Create a wallet -- which is like an email address for digital money. People can send bitcoin and bitcoin cash to this wallet address. 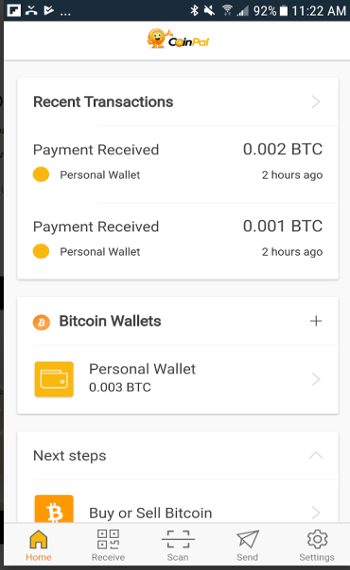 You can send bitcoin and bitcoin cash to people using the Send button. You can scan QR codes and send payments too. Simply download the Android or iPhone app and get started today. Please review our app in each app store and follow our social media links below on Facebook and Twitter.